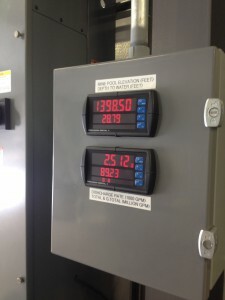 HVAC Motor Control Systems for Large Commercial Buildings. So whether you need a Conveyor Belt Starter Box for an under ground mining application, an emergency field service for an electrical control system, spare parts for a GrayCo product or a Soft-Start/VFD Control product, GrayCo Controls will be there to serve you quickly, professionally and get you up and running. In addition, GrayCo Controls provides training on electrical controls – contact us for more details. SAF OPAL Starters is a leading North American Reduced Voltage Starter line. Designed, manufactured and distributed by SAF Drives, the SAF OPAL Starters line is an established market leader in dependability, ruggedness and quality. BWI Eagle designs and manufactures industrial wireless remote control relays, conveyor speed switches, proximity sensors and other electronic specialty products that increase safety and productivity in commercial, industrial and residential applications. Benshaw’s experience in the design, production and installation of mission critical motor controls and drives for continuous process industries is reflected in every product we build. Whether a rugged, reliable drive, a pump control panel or a motor control center, when it absolutely has to work, choose Benshaw. Mining Controls (MCI) has the equipment and application expertise to bring you peace of mind no matter the depth of your project. Long recognized for high-quality products and superior service, we design and manufacture Electrical Products for surface and underground mining; Mine Lighting and camera systems; and Gilbert electrical power-distribution equipment and controls.